Understanding of the brain and treatment of mental illness and brain diseases are at a transformative crossroads. That’s what Vice President Joseph Biden said today as he presented the William C. Menninger Convocation Lecture at APA’s 2014 annual meeting in New York City. Biden said passage of the mental health parity law and the release last year of regulatory guidance for the law, along with the new Brain Research Through Advancing Innovative Neurotechnologies (BRAIN) Initiative, announced by the Obama administration last year, are creating a transformative moment for psychiatry and patients with mental illness. 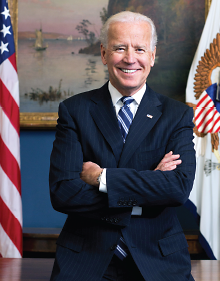 Incoming APA President Paul Summergrad, M.D., called Biden a “staunch ally in the battle to end the stigma surrounding mental illness and to guarantee that everyone who needs appropriate psychiatric care receives it. It was a rare honor to hear Mr. Biden say this with the true passion that he so clearly feels. We are grateful for the support of the vice president and the administration for making sure that mental health care occurs for all who need it."